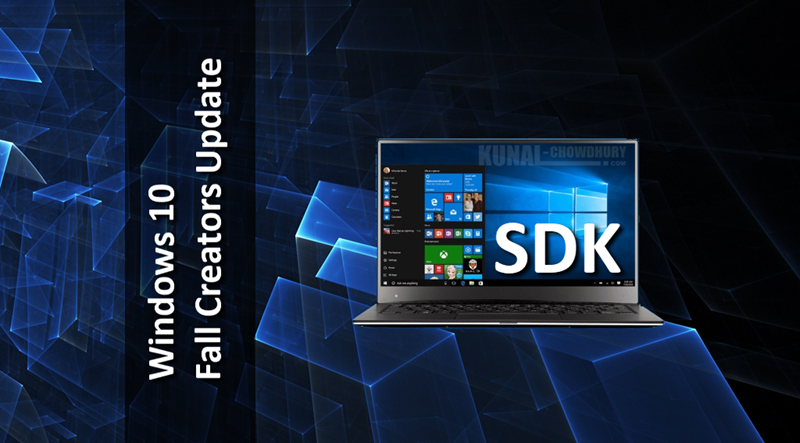 With the release of Windows 10 Fall Creators Update, on 17th October 2017, Microsoft also released the SDK for the developers to build and publish apps. It contains the latest headers, libraries, metadata and tools to build applications targeting Windows 10 Fall Creators Update. If you didn't yet grab that, download it now and start building new apps or updating your existing ones with the new features. Windows 10 SDK for Fall Creators Update (version: 10.0.16299.15) provides the latest headers, libraries, metadata and tools to build Windows 10 apps, targeting the latest features included in Fall Creators Update. You will need to have the latest version of the Windows 10 installed on your system to get the features available to you. If you didn't yet downloaded the latest version of Windows 10, here's how to install it. You will also need the latest version of Visual Studio 2017 (Update 4, version: 15.4) to get the optimum experience for building apps for Windows 10. The latest Visual Studio 2017 RTM already includes this copy of the new version of Windows 10 SDK. Before you install this SDK, please review all system requirements, known issues, and make sure to exit the Visual Studio 2017 if it is already running. Here's your chance to win one of five prize packages from Microsoft. Either publish a new app or update your existing app, targeting the Windows 10 Fall Creators Update by 17th November 2017, and you will be automatically entered into the Sweepstakes entry. Make sure to read the Official Rules. If you have come this far, it means that you liked what you are reading (Microsoft releases Windows 10 SDK for Fall Creators Update).